Women in Super is a national advocacy and networking group for women employed in the superannuation and wider financial services industries. We work to improve women’s retirement outcomes and access to superannuation. With over 2,500 members across Australia, WIS provides professional development, networking and career progression opportunities to assist these members in gaining opportunities to develop broader business, professional and personal networks. 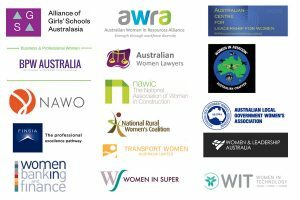 Furthermore, WIS strongly supports and encourages the appointment of women to superannuation fund boards and works with other organisations and stakeholders to achieve this. WIS was formally established in 1994 to provide networking opportunities for women working in the profit-to-member superannuation and associated financial services sector. Since then it has developed into a national organisation with committees in every state and territory (except the Northern Territory). Our mission is to work towards a superannuation system without gender-based inequity. Due to our founding history, our historic roots lie with the Conference of Major Super Funds (CMSF – now part of AIST), and over the past two decades our support, both financial and in-kind, has primarily come from the industry super fund sector to help grow our organisation. As a proud Australia-wide not-for-profit organisation, WIS is driven to make a difference. In 1998 we initiated the Mother’s Day Classic walk/run and have raised $33.2 million for the National Breast Cancer Foundation since beginning. We work to make super fair by improving women’s retirement outcomes through policy change; provide opportunities for members to develop their networks as well as professional development training; promote equal participation of women at all levels within the superannuation and financial services industry and to strengthen our network through promotion of the Mother’s Day Classic. We believe in connecting, inspiring and supporting women in the superannuation and wider financial services industries. Our members have the opportunity to network with and learn from other women in the industry; contribute to superannuation policy-making; and participate in a number of volunteer committees, including helping to organise the Mother’s Day Classic.